For Honor on PS4 Pro is Stunning! Last month, Ubisoft dropped the news on the contents of the For Honor Collector’s Case, available exclusively on Uplay. Players will follow the path of the warriors and dominate the battlefield with the For Honor Collector’s Case, which contains premium digital and physical content along with three 1/3 scale full metal faction helmet replicas and the Season Pass. Today, you have a chance to check out the game in full 4K glory on the PS4 pro. Sony released a video in 4K showcasing gameplay and environmental clips. The video below gives us a rather extensive look on how the PS4 Pro renders the game. You also get Brand Director Luc Duchaine giving a brief explanation on the game. As you can see, For Honor is a gorgeous-looking game. It looks even better running on the PS4 Pro. Incidentally, the video includes a notice mentioning that there is some upscaling going on, but we don’t know precisely how and from what resolution. 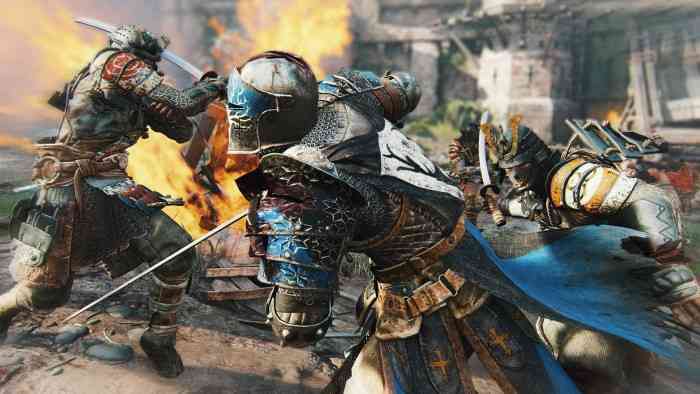 Consumers will have their chance to playtest For Honor from September 15-18 with the For Honor Closed Alpha. The development team will be looking for feedback from gamers during the Closed Alpha to carve the best gaming experience possible when the game launches. To sign up for it and get the latest news and content about For Honor and have a chance to play the game first, please visit www.forhonorgame.com. Ubisoft also announced that the game on PC is being developed by Blue Byte, a Ubisoft Studio. Blue Byte is devoted to create a tailored and fully optimized experience on PC platforms that supports mouse and keyboard controls, giving PC players the option to choose how they play the game. The game will be available on February 14th, 2017.